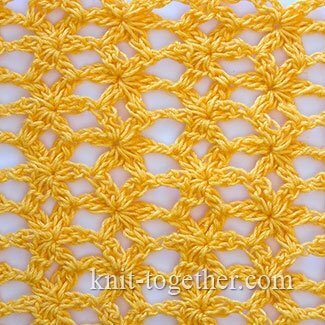 Knit Together | Lacy Crochet Stitch Pattern "Flowers"
Lacy Crochet Stitch Pattern "Flowers"
This pattern consists of flowers which are made with unseparated crochet technique. 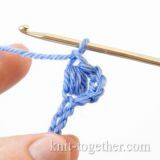 At first glance, it may seem complicated, but you'll see how easy do it. 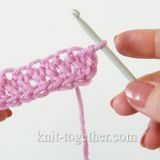 For this you need to learn how to do some of the elements of the pattern. 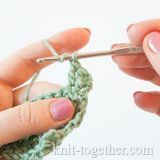 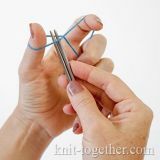 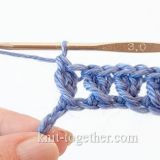 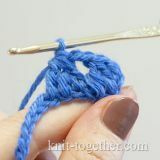 Make chain stitches a multiple of 10, plus 4 chains for the formation of the edge (turning chains). 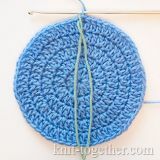 3 row: 3 chains, * 1 double crochet in the center of the flower of the previous row, then 2 chains, 1 slip stitch in the center of the flower, 2 chains, 1 double crochet in the center of the flower, make four petals over two petals of the previous row *, 1 double crochet in chain of the previous row. 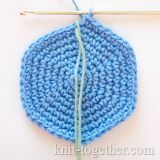 All the next row make same as the third row.